The relatives and guardians of private asylum patients believed that these institutions offered a far better, more personalized environment in which to treat their lunatic relatives. Discretion was paramount. Private asylum proprietors did not publicize their case books, print details of cures or release the names and details of patients to prying inquisitors. While the apparent ‘privacy’ of private licensed establishments reassured some, the private nature of these sites of care led in time to accusations of financial corruption, administrative irregularities, and illegal, abusive treatment practices. As stories of the abusive treatment of patients reached the public, and when interested observers and reformers began to question the entire system of private care, it was not only the profit behind the private asylum which was heavily criticized, but also the perceived threat to the civil liberties of patients that such institutions embodied. In this climate of mistrust, the belief gained ground that the sane were being sequestered in private asylums as though they were mad. In the eyes of many people in Victorian England, this was a horrifying scenario in which the asylum proprietor and the patient’s family and friends colluded wrongfully to confine an individual. It was not long before the idea of wrongful confinement became linked, in the popular imagination, with the whole private madhouse business. Claims of wrongful confinement as early as 1763 led to the first public investigations into mad-houses and the emerging trade in lunacy. Despite the public’s concern, it took over a decade for the Parliamentary Select Committee’s investigation to turned into the 1774 Act for Regulating Madhouses. Limited in its outlook, and only covering madhouses within a seven-mile radius from the capital, this act gave the state no power to revoke licenses, and made no provision for pauper lunatics. Its only significance, which was of no benefit to the insane themselves, lay in alerting the public to the existence of illegal detention of sane persons in madhouses. Perhaps one of the most powerful claims that W.A.F Browne made in his exposé of the eighteenth century confinement of lunatics was the wrongful incarceration of the sane, ‘entrapped, imprisoned, and confined, in defiance of the most active interference made in their favour’ (113). It was the ‘bigoted perseverance’ of an abuse which was utterly ‘at variance with common sense and justice’ (131), which Browne hoped to overcome. The ‘impulse of reform’ and the ‘reign of humanity’ initiated by Pinel and other reformers of the preceding generation, marked not only the abolition of fetters, but also a metaphorical shift from darkness to light, from an ignorant and ‘savage ferocity’ to ‘Christian benevolence’ (139). When we contrast the condition of Bethlehem of fifty years ago with the Bethlehem of to-day, we see at a glance what a gulf has been leaped in half a century - a gulf on the one side of which we see a man like a demon torturing his unfortunate fellows, on the other like a ministering angel carrying out the all powerful law of love. Among the most important signs of the enlightened modern thinking about the proper treatment of the insane were the newly-constructed county and public asylums, warmly praised as places where ‘brutality and violence are unknown’ and where ‘everything is done to cheer and comfort the unfortunate inmates. [...] there are long airy galleries in which they associate, gardens in which they may take their exercise; they are encouraged to be cheerful by every stratagem which the most thoughtful humanity can devise’ (The Times, July 1858). Though many in the psychiatric profession wrote proudly and profusely about the beneficial accomplishments of the reformed asylum and about the successes of moral therapy, popular anxieties regarding madness and asylums were slow to change. Debates over specific cases of wrongful confinement in lunatic asylums intensified public disquiet throughout the nineteenth century. Yet concerns about wrongful confinement during this period did not centre solely on specific motivations of profit as it often had in the eighteenth century. Rather, the debates and discussions which took place both in medical and legal circles, as well as in newspapers and popular literary journals novels, indicate a greater concern with the consequences of conflicting medical, social and legal accountability and ‘civil responsibility.’ A second issue which preoccupied those concerned with wrongful confinement in the second half of the nineteenth century was the emergence of new kinds of insanity. Throughout the nineteenth century, psychiatric classifications and categories expanded to include partial forms of insanity such as monomania and moral insanity, both forms of lunacy in which the intellect remained unimpaired. While the expansion of classifications seemed to reinforce the claims physicians made that they possessed the expertise demanded for successful medical intervention, such nosological or classificatory advancements in fact undercut physicians’ authority to diagnose, treat, and cure lunacy. As their medical authority began to be questioned, their social stature diminished and physicians became objects of derision and satire. The debates generated by cases of wrongful confinement (both real and fictional) tell us much about the problems encountered by psychological physicians in their attempt to construct and then retain jurisdiction over the insane. While the merits of private asylums had long been debated among medical professionals like Monro, it was not until the late 1850s that the spectre of wrongful confinement entered the very public arena of the Times. In August 1858 the paper’s editorial board launched a scathing attack on private asylums, focusing on four sensational accounts of illegal detention. One of these wrongfully incarcerated individuals was Rosina Bulwer Lytton, the wife of the novelist and colonial statesman Edward Bulwer Lytton. Though they had been separated since 1836, several incidents had aroused Rosina’s suspicions of her husband. She believed that she was being watched by his agents, that her private papers were being stolen, and generally that he was trying to acquire evidence that would enable him to cut the payment of a very substantial monthly allowance of £400. In retaliation, both privately and publicly Rosina took all opportunities to embarrass her husband, sending him letters adorned with obscenities (sometimes as many as twenty a day), and verbally berating him when in the company of his friends. Bulwer Lytton saw in her threats the signs of mental disorder and called in six renowned physicians to examine her. Upon their diagnosis of insanity, in July 1858 she was removed against her will to Inverness Lodge, a private asylum. She was released on the grounds of ill-health only three weeks later, affirming her sanity and the doctors’ blunders. Her desire for revenge ensured that the case made headlines in the regional and national press. The support she garnered, her husband believed, was grounded in the machinations of his political enemies and he used all his connections in Parliament to keep the case out of the courts. Though he was probably relieved that he had prevented an even bigger publicity disaster, Rosina continued to draw attention to her husband and the doctor’s unparalleled vindictiveness in her novels and her autobiography, A Blighted Life (1880). If the wife of a statesman could be wrongfully confined, it could seemingly happen to anyone. Yet few, if any, had the resources to combat such a damaging accusation as insanity, even if they could escape from the asylum. As one journalist commented after the case, ‘[u]nder the present system any English man or woman may be locked up in a Private Lunatic Asylum with very little chance or remedy or redress [...] there is a laxity of practise throughout, although the precautions, even if stringently carried out, would be insufficient to guard against abuse [...] It is only to a madhouse, not a prison, that an Englishman can be sent and no-one be the wiser.’ Passions were clearly aroused. One falsely incarcerated ‘victim’ wrote to the press and described ‘scenes of almost incredible outrage’ and noted that ‘if the avowed object had been to deprive me of reason at the risk of life it could not have been more systematically prosecuted’ (Times, 24th August, 1858, 12). Though wrongful confinement had since 1774 been at the heart of asylum reform, the private asylum had once again come under attack in both fact and fiction. Wilkie Collins’ The Woman in White (1860) and Charles Reade's Hard Cash (1863) drew together real as well as unfounded fears and apprehensions generated by the possibility of false confinement. The Bastille was a place where enemies of the crown, and the politically inconvenient, could be detained out of sight—where they could be buried alive. Critics of private asylums turned also to the metaphor of being ‘buried alive.’ Popularised by Simon Nicholas Henri Linguet in his moving and influential eighteenth century prison narrative, Mémoires sur la Bastille (1783), it suggested the particular horror of wrongful confinement. 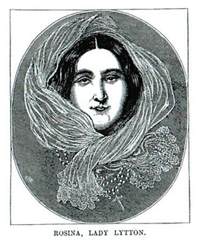 The Daily Telegraph concluded one article on the case of Rosina Bulwer Lytton with the suggestion that not only had she been excommunicated from her home and cut off from her family, but that she had been ‘buried in a social tomb.’ This idea was also used by Mary Elizabeth Braddon in her sensation novel, Lady Audley’s Secret (1862). When Lady Audley is finally taken to a Belgian lunatic asylum, she conceived of it as a ‘living grave.’ These are just a few of many examples of way in which the secret world of the Bastille was symbolically and metaphorically appropriated by writers of fact and fiction to make sense of wrongful confinement and its home within the private asylum. Though the problems in private asylums had been discussed by Monro in the early 1850s, by the end of the decade their validity as caring (if expensive) institutions had reached a critical point. Scandals, abuses, and revelations of wrongful confinement appeared in the press on an almost daily basis. The more adverse the publicity, the further entrenched became the public’s morbid fascination with insanity and its home within the asylum. There was something of a ready-made audience for issues raised by the private asylum, and novelists in particular were quick to exploit its possibilities. Wrongful confinement, the use of coercive physical restraint, over-reliance on sedatives, abuses committed by ill-qualified attendants, ineffectual lunacy laws, and the pitiful intervention of Commissioners became conventions of fictional representation of the private asylum. While insanity, like bigamy, murder, arson, and corruption, became a popular narratological device, the lunatic asylum functioned in a rather different way. Though Wilkie Collins, Mary Elizabeth Braddon and Joseph Sheridan Le Fanu employed the asylum in much the same way that writers of gothic fiction employed castles or convents - as terrifying sites of incarceration, writers of a more reforming temperament like Charles Reade and Henry Cockton saw it as their duty to expose the ills of the asylum, as well as the double standards which they believed (and offered to prove) were rife in the iniquitous lunacy laws. Charles George Ethelston’s A Private Lunatic Asylum Exposed (privately published 1885) conveyed the author’s incredulity that in the present day, when the treatment of insanity was popularly characterized by ‘humanity,’ that the ‘most severe tortures may be inflicted, with the probable result of as much suffering as was endured in former times when patients were chained to the ground and flogged.’ Despite such ‘agony’, Etchell recounted her experiences to effect reform by drawing attention to the ‘defective’ machinery of the lunacy laws. Etchell believed that reform must start with the asylum superintendent. Lathrop, too, desired the replacement of ‘venal’ superintendents with ‘capable and conscientious’ physicians. Without such reforms, the spectre of lunatic asylums as ‘vast prisons and dens of iniquity’ would become a reality. The psychological physician John Charles Bucknill argued that ‘the sane people confined in lunatic asylums under the easy facilities of the act are ghosts of newspaper writing.’ The very fact that well-regarded physicians like Ray, Bucknill and others responded so directly to the language, metaphors, images, and associations in such memoirs indicates that the claims of wrongful detention were damaging the stature of physicians specializing in the field of psychological medicine, but were undermining the social and medical authority of the profession of mental science itself. By reasserting the relationship between the prison and the asylum they threatened the enlightened principles of the ‘reign of humanity’ and ‘reign of mercy’ in the treatment of the insane.